According to Bloomberg News, Paulson & Co. and Soros Fund Management bumped up exposure to SPDR Gold Trust to 21.8 million shares and 884,000 shares, respectively. Paulson & Co. now has 44 percent of its $24 billion fund exposed to bullion. On Wednesday, according to Reuters, gold began to rebound after two straight losing days with spot gold climbing to $1,604.35 an ounce, up 0.4 percent. According to CNBC, in the previous four months gold has had a difficult time moving beyond a $1,525 and $1,680 range. Known for making big bets, between 2007 and early 2009, Paulson invested heavily in the housing market garnering $20 billion in profits, according to the Wall Street Journal. A spokesperson for Paulson & Co. did not return our request for comment. Soros Fund Management did not return our request for comment. The decision by Soros is an interesting one. 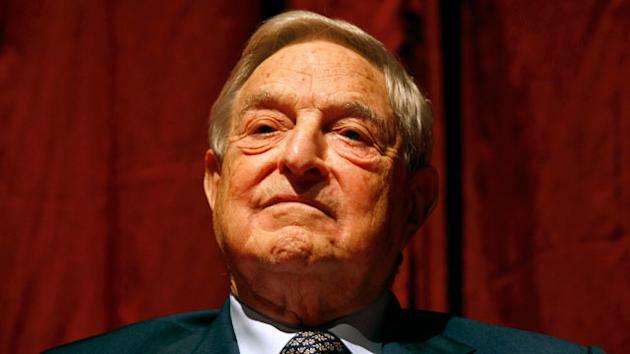 In 2010, Soros called gold "the ultimate bubble" during an appearance on Reuters television. "It may be going higher but it's certainly not safe and it's not going to last forever," he stated. And, some portfolio managers aren't so sure gold is a smart bet in 2012. "I'm not sure gold as an outsized bet is the place to be right now unless you believe in hedging against greater unrest or a deepening credit crisis in Europe, " said Kevin Starkey, a partner at Capstone Investment Financial Group.
" We currently believe that 3 to 5 percent of gold exposure is the right exposure for most of our clients. We are big believers in gold as defensive play. To make it an offensive play, or make a big bet on gold, means [Paulson] sees something we do not see," Starkey added. Peter Sorrentino, a senior portfolio manager at Huntington Funds, which manages more than $13 billion in assets, said consumers should not rush out and buy gold. "Historically these moves span roughly a decade and while the last phase is typically the most explosive, the risk is getting out before it rolls over. For individual investors buying physical gold involves paying sales tax both in and out as well as considerations for storage, insurance, transportation and assay fees. These can be considerable expenses," Sorrentino said in statement to ABC News. Sorrentino said gold has been in a "consolidation phase since the end of February and has traditionally moved higher after such periods." He continued, "the fundamentals behind gold such as available supply coming to market and end demand have not changed in any material way. In fact, gold purchase by central banks in the pacific rim, India and Russia have reached new highs. So from an investor psychology and supply/demand perspective, this looks like every cycle before it during the last decade." "The big question is whether or not this time it's different. Every commodity-driven cycle ultimately comes to an end, and ten years is generally the average duration for these market moves," said Sorrentino. But, despite big bets by two of the nation's billionaires, he continued, "…There is an old saying among Wall Street trader; 'It's said with a whisper and not with a shout, when the widows and orphans get in, it's time to get out.'" Gold exchange-traded fund holdings topped 77.7 million troy ounces this week to another record high. ETFs are investment funds traded on stock exchanges , much like stocks. Many of them have low management costs and there is not the need to take physical possession of the gold.